TULSA, Okla.(Jan. 16, 2013) – GLORY, the world’s new premiere kickboxing league, will kick off it’s highly-anticipated ROAD TO GLORY USA fight series to discover America’s next great fighting superstars, with an eight-man, single-elimination light heavyweight (209 pounds) tournament at The Joint at Hard Rock Hotel & Casino in Tulsa, Okla. on Saturday,! Feb. 1. Tickets for the event, headlined by the ROAD TO GLORY USA tournament, are priced from $42 and can be purchased at www.hardrockcasinotulsa.com. The one-night tournament is being promoted in conjunction with retired world kickboxing champion Dale “Apollo” Cook’s Xtreme Fight Night 11 card. Reigning ISKA Kickboxing Champion Randy “Boom Boom” Blake (25-1, 17 KOs) of Owasso, Okla.
has been tabbed for action in the eight-man tournament affair and will be joined by dangerous, undefeated rising stars Brian “The Lion” Collette (17-0, 14 KOs) of Norfolk, Va. and Kyle “The Ragin’ Cajun” Martin (7-0, 4 KOs) of New Orleans, La. 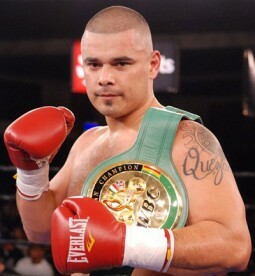 as well as by KO artist Roy “Wreckin’ Ball” Boughton (8-3, 8 KOs) of Concord, Calif., Muay Tha! i standout Myron “The Future” Dennis (10-2, 4 KOs) of Oklahoma City, Okla., Urijah Faber-protégé Jeremy “The Freak” Freitag (8-3, 1 KO) of Sacramento, Calif., tournament savvy Daniel “Sandman” Brison (9-2, 6 KOs) of Greenville, W. Va.
and WBC world-ranked professional boxer and kickboxer Manuel “El Toro” Quezada (10-2, 8 KOs) of Wasco, Calif.
“This event marks the beginning of an intensive mission to identify and develop young up and coming fighters into future GLORY superstars and world champions,” said GLORY CEO Marcus Luer. “ROAD TO GLORY is our development series. This is where you have to first show us that you have what it takes to be a GLORY fighter. Only the winner is guaranteed a chance to fight in our main GLORY shows which are held all over the world. 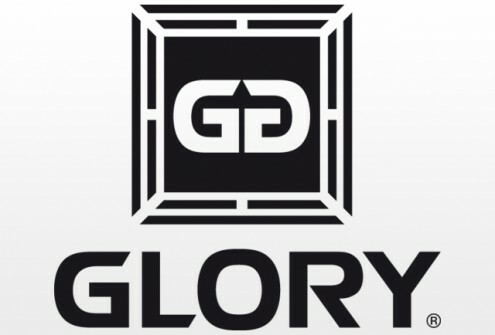 The winner of the ROAD TO GLORY USA light heavyweight tournament will be awarded a grand prize of $20,000 and a one-year contract with GLORY where he will have the opportunity to compete in the world’s most prestigious one-night GLORY kickboxing tournaments that award up to $600,000 in prize money. A tournament “alternate” bout on the card will pit Jason “The Scorpion” Broom (2-0, 2 KOs) of Sapulpa, Okla. against John King (3-1, 2 KOs) of Amarillo, Tex. Should any of the tournament’s quarterfinal round fight winn! ers be unable to return to the ring for semifinal round action due to injury sustained en route to victory, the winner of the matchup between Broom and King will take the injured fighter’s place in the tournament. A draw to determine the tournament’s quarterfinal round matchups will take place on a date and at a location to be announced soon. Doors at The Joint open for the event at 7 p.m. CST and the first preliminary bout begins at 7:15 p.m. The main card headlined by the tournament begins at 8 p.m. This entry was posted in Events, Features and tagged Brian “The Lion” Collette, featured, Glory, Glory Heavyweight Tournament, Jeremy “The Freak” Freitag, Kyle “The Ragin’ Cajun” Martin, Manuel “El Toro” Quezada, Myron “The Future” Dennis, Randy “Boom Boom” Blake\, Road to glory, Roy “Wreckin’ Ball” Boughton. Bookmark the permalink.